What do you call the cadenza in a viola concerto? How is a symphony viola section like the Beatles? Neither has played together for years. Why is a viola like a grenade? When you hear it, it’s too late! I get it; the viola does look a lot like a violin, a viola solo is rare, the parts written for it are often deemed as mundane accompaniments, and many transposed pieces for the viola are awkwardly executed. I will admit that I did not dream of becoming a violist at first; in fact the only reason I made the transition was because my string ensemble desperately needed viola players. However, I quickly fell in love with its darker and richer tones, a quality which has been increasingly appreciated by composers, performers, and audiences. For the first 250 or so years of its existence, solo viola compositions were few and far between. However a notable increase was seen in the 19th century with famed pieces such as The Viola Concerto in D by Carl Stamitz. 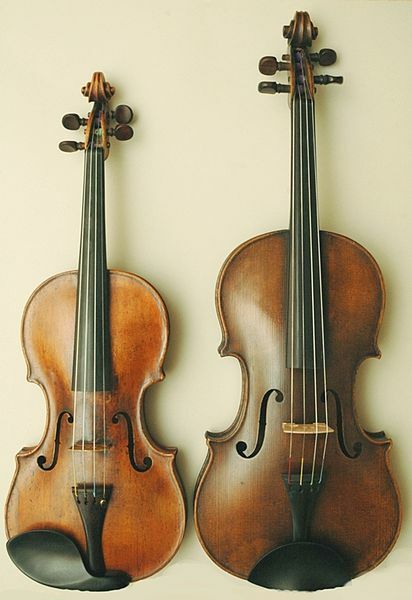 The 20th century also saw an increase in solo pieces which may have been inspired by a wave of world class violists such as Paul Hindemith or William Primrose. More recently, conductor John Williams premiered his Concerto for Viola and Orchestra in 2007, and Nicholas Hersh arranged and conducted Queen’s Bohemian Rhapsody for Orchestra and Solo Viola for the Indiana University Studio Orchestra. One time, during a string ensemble rehearsal of Bach’s Air on a G String, our teacher said, “I just want to hear the viola part on its own, as it is the most beautiful part of the piece.” After we gladly performed our part for our fellow players, rehearsal resumed with the next piece, one in which the viola section served as accompaniment, playing yet another banal alto part (choral singers will understand). But that’s okay, if violists are anything we’re team players. Katherine Stopa is an Editorial Intern at Grove Music/Oxford Music Online. She is a Canadian born and raised, and has strong connections to music, pop culture and breakfast. She is currently pursuing an M.S. in Publishing at NYU’s School of Continuing and Professional Studies. You can follow her on twitter @katiest_tweets. Being a fellow viola player this article has really helped to explain the many differeces between violins and violas. I have been told before, by a none musician, that there is no difference only in its names. This is going to help me so much to back up my arguments thanks!